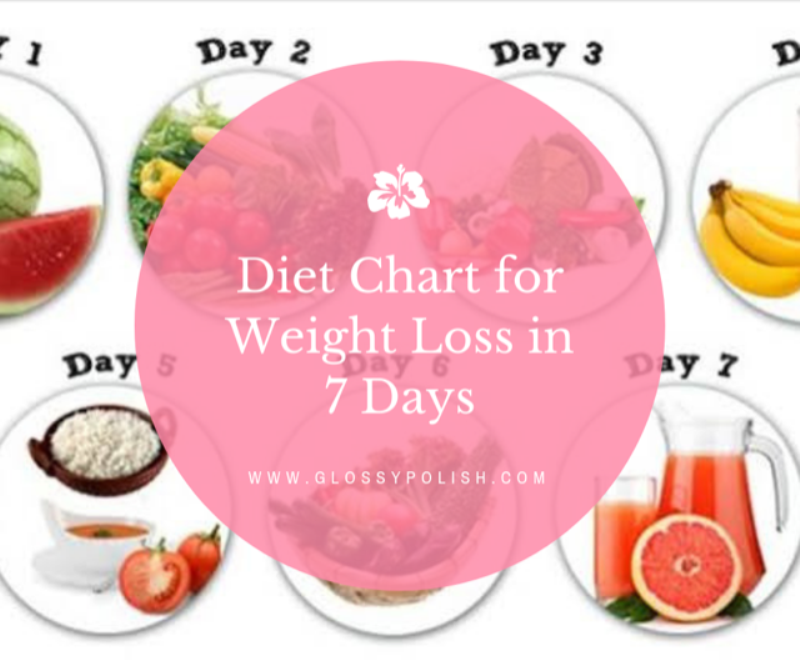 Diet Chart for weight loss in 7 days: Internet is flooded with diet charts aiming for weight loss. But you must remember that rapid weight loss is not at all healthy. Weight loss should be such which is sustainable as well as healthy. There is no point in losing weight and then ending up feeling all tired and even getting fainted and all. Day 1 – Consume fruits in large amount. You can consume any fruit other than Banana. Some of the recommended fruits are watermelon, grapes. Don’t forget to consume 8 to 12 glasses of water. The point here is that water loss from the body should not happen otherwise this can lead to weakness and restlessness. Day 2 – you can consume a large bowl of potato. Also, you can consume any cooked or uncooked vegetable of your choice. But make sure that no oil is involved in the cooking of vegetable. Don’t forget to consume 8-12 glasses of water on day 2 as well. Day 3 – this is the day where you can consume both fruits and vegetables. You can consume fruits and vegetables other than potato and banana. Make sure that the vegetables are not cooked in oil. You can consume both cooked and uncooked vegetables. Also, keep drinking water as you have drunk in previous days. Day 4 – This is the banana day. Here you need to consume a minimum of 8 bananas. You can distribute a distribute bananas as per your convenience. You also need to drink 4 glasses of milk and then 8-12 glasses of water just like every day. Day 5 – This is a nonveg day. You can consume lean proteins like chicken breast or fish. Vegetarians can go for brown rice today. You can consume chicken and fish with regular brown rice. You also need to eat 6 tomatoes today and finally 8-12 glasses of water. Day 6 – This is a veg and rice day. Here you can consume any cooked or uncooked vegetable of your choice. But don’t use oil in the vegetable. Also, you can consume a cup of brown rice here as well with your choice of vegetable. You only need to skip potato here. You also need to consume 8-12 glasses of water on day 6. Day 7 – on this day, you can consume a cup of brown rice, any vegetable of your choice and any fruit juice of your choice. Under fruit juice, you can consume sugarcane fruit juice as this is high in salt and other nutritional value.